Fever Dream is the record of the last few memories and thoughts of Amanda as she lies dying. She is extremely worried about her daughter, Nina. Where is she? Is she safe? The narrative is delivered as a conversation between Amanda and a young boy, David. David is the son of Carla, the elegant woman in gold sandals who lives not far from the holiday home Amanda and Nina are renting. Right from the first day of their stay Carla has stepped one gleaming foot at a time into Amanda and Nina’s life, her son David an ominous presence hovering in the background. What does Carla want? What happened to her and her son? 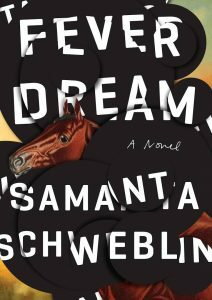 Though the novel traces the events of Amanda and Nina’s time at the holiday house, our certainty about Amanda’s lucidity remains in question and this is what makes Fever Dream so fascinating: our understanding of reality is stretched but all within the possible safety-net of Amanda’s fevered delusion. Fever Dream is a horror story, but it is also an elegantly woven and acutely observed story with true psychological insight. The emotional bonds that exist between parents and their children, between people in general, are explored and articulated beautifully. Very early on Amanda talks about the moments of mutual fascination and repulsion experienced by her and Carla, moments that are definable and clearly experienced but unspoken and hard to describe in tangible terms. These kinds of ties, these feelings that exist in our lives and yet have no discernable, objective reality, are exactly the kinds of human experience that Fever Dream uses to exploit our sense of impending harm. 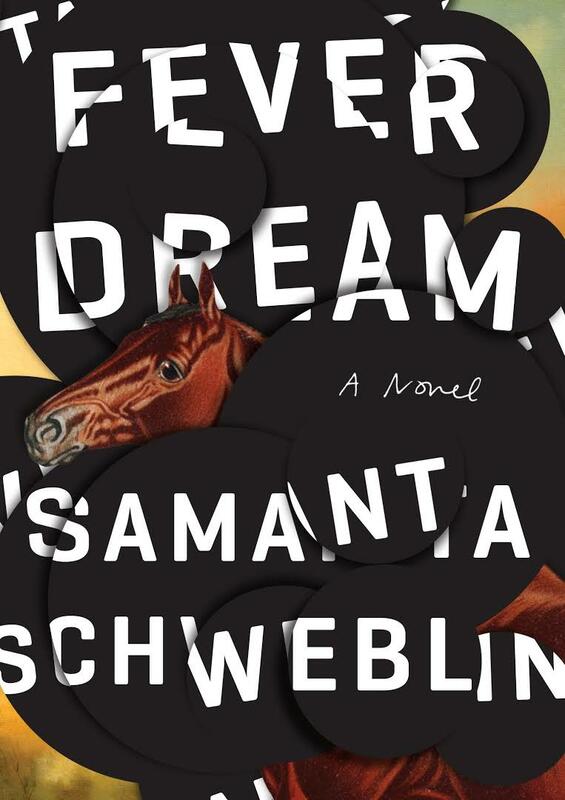 I’ve been saying novel, but Fever Dream is more of a novella: shorter, singular in style and purpose, somehow more direct in its assault on the reader. It’s a really wonderful, if frightening, tale. I thoroughly recommend it for anyone who wants to try a fresh outlook on those undefinable senses that reach beyond the usual five and test our certainty in commonly accepted objective reality. Next week I’m reading Butterfly Fish by Irenosen Okojie.